Extraction techniques are used to separate the components of cannabis and remove them from the plant matrix. Various methods can divide cannabis plant material into parts, or extracts, that contain different chemicals. With cannabis, extraction techniques are often used to isolate specific desirable compounds, and cannabis contains at least 113 cannabinoids, including cannabidiol (CBD) and tetrahydrocannabinol (THC). 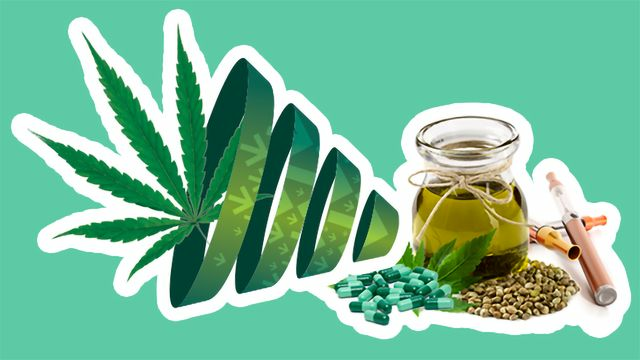 On the other hand, a producer may seek to create a single extract with many desirable cannabis compounds; sometimes called whole plant extracts. Including the better-known cannabinoids, scientists have identified more than 550 chemicals in cannabis in general including components like terpenes. Extraction techniques are also used to concentrate chemicals of interest. This article goes over the most common methods of cannabis extraction. Before discussing these methods, readers should keep in mind that cannabis extraction is chemistry, not cooking. So, some skills in analytical methods plus real lab equipment is required to perform these methods correctly and safely. In many cases, the reagents and how they are used can create dangerous situations. Consequently, many of the techniques require safety equipment, like a fume hood. Just as important, the extraction process must be performed correctly to produce a safe product for human use, and the results should be confirmed independently with proper analytical testing. Several common forms of cannabis extraction rely on a solvent, such as alcohol. In brief, the cannabis soaks in alcohol, usually ethanol, the plant material is then removed, the liquid filtered, and the alcohol is removed with some form of evaporation. One of the biggest challenges is the inherent polarity of solvents like ethanol—meaning it has a propensity to mix with water and dissolve water-soluble molecules like chlorophyll. Removing the chlorophyll from the extract is important as it produces an undesirable, bitter flavor. 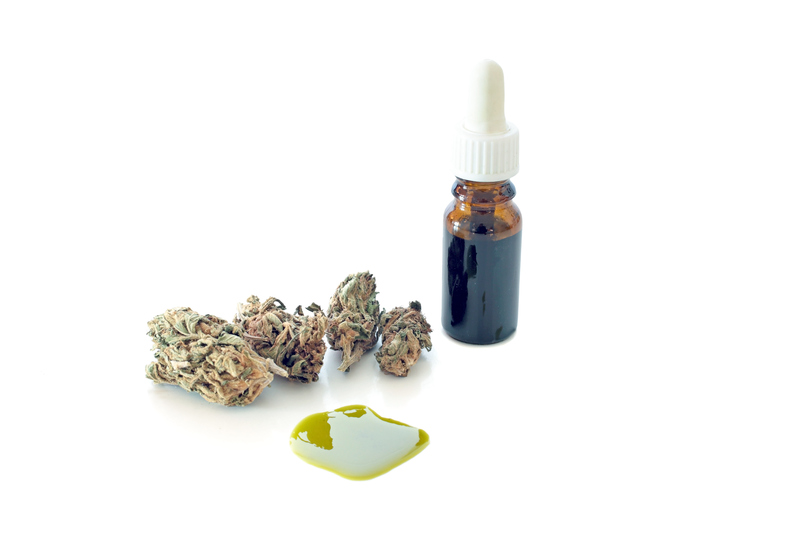 A cannabis tincture created using alcohol-based extraction. This method can be performed at atmospheric pressure, but the temperature is carefully controlled, especially during evaporation. This process can also take time and must be done carefully to avoid danger as ethanol is highly inflammable. One of the biggest benefits of this form of extraction is that there is no risk of leaving toxic residual chemicals in the final cannabis extract and, it enables the co-extraction of all compounds of interest, chiefly cannabinoids and terpenoids. The Ethos-4 closed-loop ethanol extractor. Credit: Capna Fabrication YouTube Channel. Using a reagent of any kind can add cost and clean-up time, so various techniques should be considered, and one is CO2 extraction. Instead of using alcohol, this method removes cannabis components from the plant matrix with carbon dioxide. Here, though, high pressure and heat are used to turn the CO2 supercritical—meaning it is simultaneously like a liquid and a gas. Cannabis CO2 extract being dispensed from a supercritical CO2 system following extraction. Credit: Eden Labs LLC. 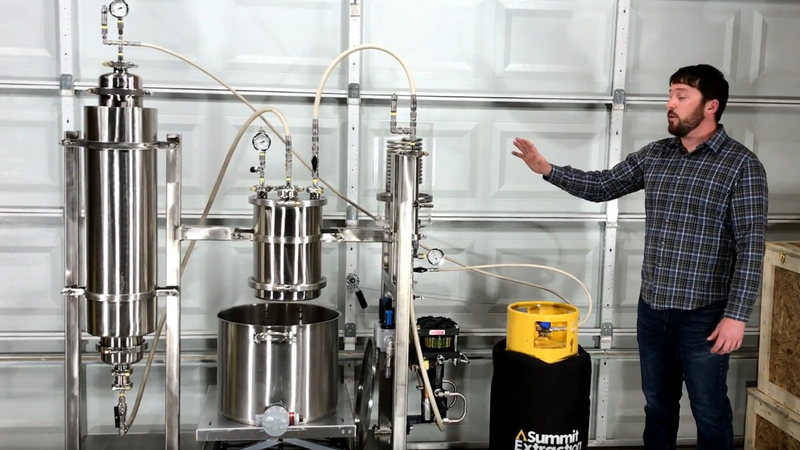 The equipment cost for this method is orders of magnitude higher than alcohol extraction, but it produces higher yields and less valuable material is lost. Plus, this method can be adjusted to extract specific compounds by changing the temperature, pressure or runtime—more likely a combination of these. Moreover, one study found that different compounds get concentrated at different rates in the same process. So, the extract should be analyzed, especially where concentrations of specific compounds are desired. 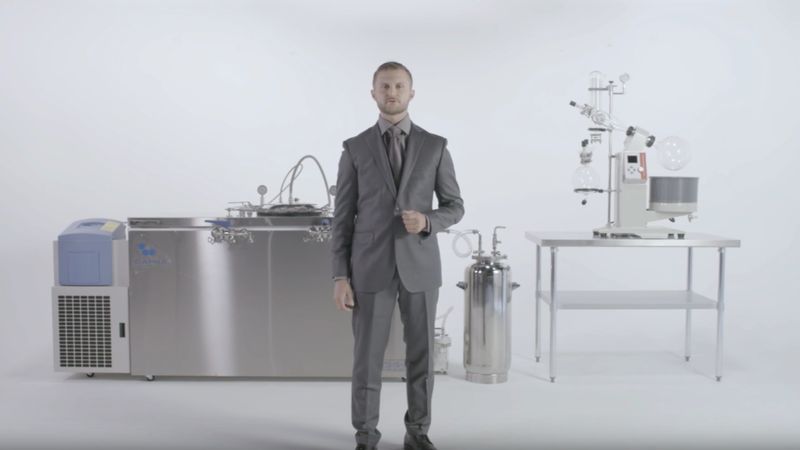 A selection of supercritical CO2 extraction equipment available from Eden Labs. Credit: Eden Labs LLC. With the cannabis components extracted, the supercritical CO2 goes into a condenser and turns into a liquid that can be filtered and used again. Consequently, very little reagent is used. That makes this method economical to run and reduces the need to dispose of waste. In addition, if any CO2 remains in an extract after the process, it just evaporates. That is especially important for any preparations for medical uses as a producer using this method can guarantee that absolutely no residual solvent will be present in the final product. Despite the need for some financial investment in a CO2 extraction system, a manufacturer can consider various levels of equipment. For instance, Apeks Supercritical makes introductory through high-production extraction systems and even offers refurbished systems. This gives customers a range of prices to consider. Using butane as the extraction solvent creates what is known as butane hash oil. To do this, the process starts with cannabis and liquid butane in a pressurized and heated system. By using evaporation under a vacuum, it is then possible to remove the butane solvent. The vacuum turns the butane from liquid to a vapor, making it easier to remove. This kind of extract is also known as shatter, which is a clear material that typically includes THC, CBD and other chemical components, including terpenes. To really make shatter, which is a hard version of butane hash oil, terpene content must be kept low or it works like a solvent that makes the extract soft. The right starting sample can help to reduce the terpenes present in the final product, such as by starting with cured flowers. On the other hand, the butane hash oil can be heated to remove terpenes after extraction as they are more volatile than cannabinoids like THC and CBD. Even without any added steps, this method includes some potential hazards. For one thing, butane burns easily in its gas phase. So, the temperature used must be managed carefully otherwise there is a serious risk of the gas exploding. In addition, a system should include circulators that remove and recycle the butane. The removal process should reduce any residual butane in an extract. In all cases, though, analytical testing should be done to ensure butane’s removal, because it is highly toxic to humans. That danger can make this method a less desirable choice, especially for medicinal products. 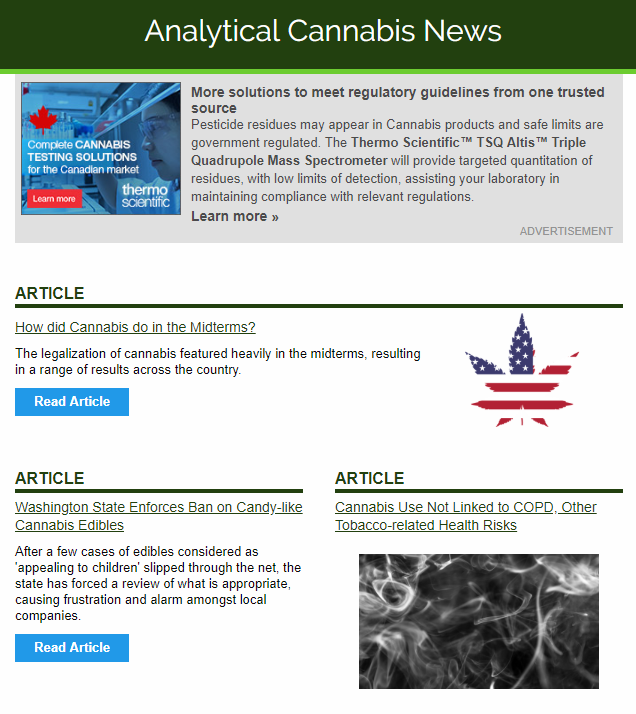 Increasing analytical testing and tighter regulations on acceptable residual butane levels could limit this method for many applications—unless, the user takes special precautions to limit any residual butane in the product and uses third-party analytical testing to confirm the safety of an extract. 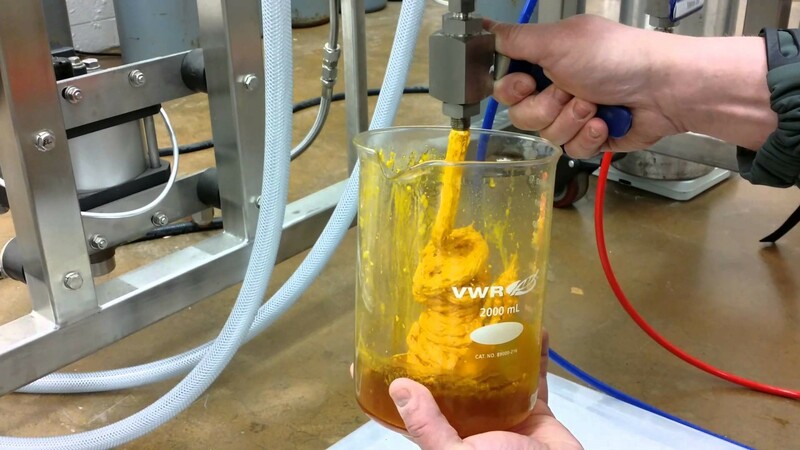 Nonetheless, butane extraction has been a popular method for extract producers and enthusiasts for years, largely due to the relatively low equipment and running cost. And, the fact that it produces flavorful extracts with higher terpene content than can be achieved by CO2 extraction, for example. The Summit T1 Extraction System from Summit Extraction Systems. Credit: Summit Extraction System YouTube Channel. Instead of butane hash oil, some manufacturers opt to produce propane hash oil. In this method, liquid propane is used in the place of butane. Here, high pressure keeps the propane liquefied and extraction occurs at a lower temperature, because propane’s boiling point is less than butane’s. The extraction temperature impacts the components removed from cannabis. So, these two similar methods—butane and propane extraction—produce dissimilar extracts. In some cases, butane and propane extraction can be used in combination to create a product with a broader chemical profile. Like the butane process, though, special care must be taken with propane extraction to remove as much of the chemical as possible and prove it. It is worth mentioning that more basic techniques also exist for preparing cannabis and extracting desirable components from the plant matrix. Kief, for example, can be separated from cannabis buds simply by grinding and sieving. These crystalline formations make up part of structures known as trichromes which are found on many plants, including cannabis. Cannabis trichromes are primarily protective structures produced by female plants when flowering. Their intense bitter taste and strong aromas render the plant unpalatable to herbivores and, they are also believed to inhibit some fungal growth. When separated from cannabis inflorescence, kief looks just like a powder or pollen. And, as cannabinoids and terpenoid production is particularly concentrated in trichromes this powder can be added to cannabis preparations to boost potency or consumed alone as a standalone product. 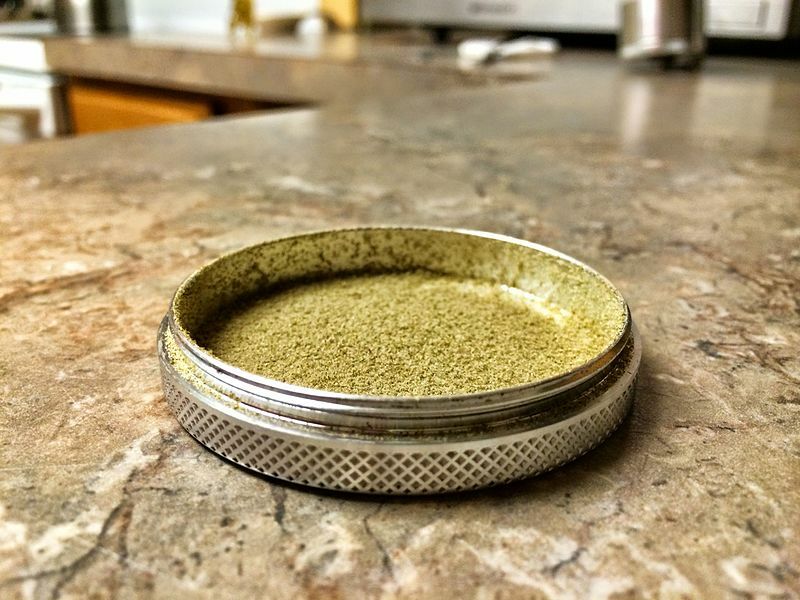 The bottom part of a grinder with a layer of kief accumulated. Credit: James Kaliwae on Wikimedia Commons. 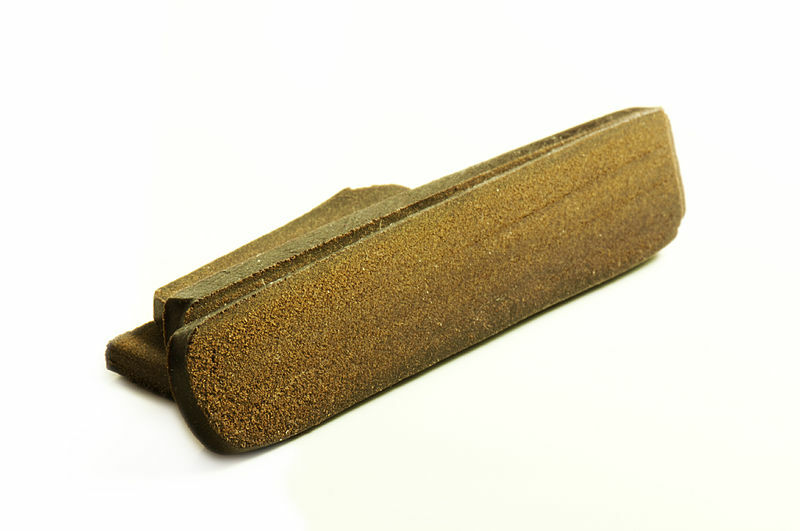 Traditional hash, or hashish, is another example of a solvent-free, more basic cannabis extract. Again, the idea is to separate the trichromes from the plant material as they contain the highest concentration of desirable compounds. Two main methods exist for creating hash, one involves taking frozen cannabis buds and breaking them into smaller and smaller parts over a screen. In the process, trichromes are separated from the plant and fall through the sieve and then pressed into blocks. 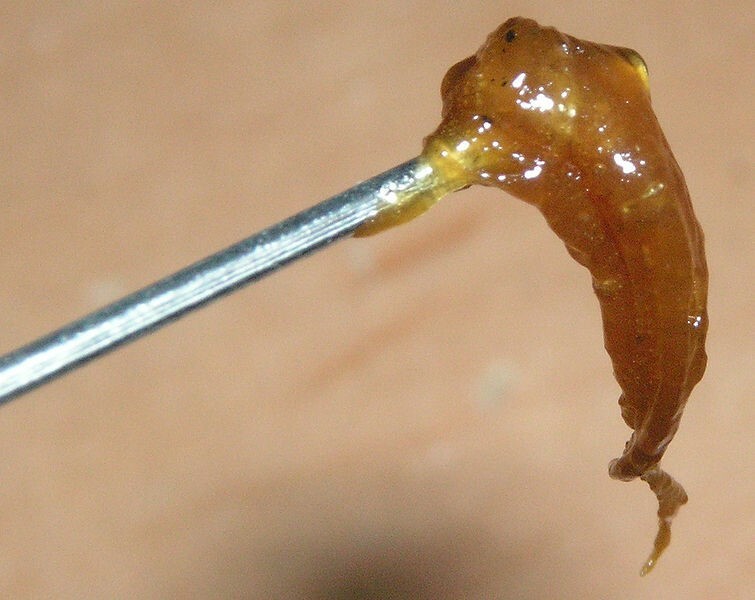 The other primary method of solvent-free hash extraction involves using ice water to separate the trichromes from the bud. After drying they can then be pressed in a hash block. Rosin has also become very popular over the last couple of years. Produced from flowers, hash or kief, rosin is a translucent substance typically with a sap-like consistency. It’s made by applying heat and pressure to the material you wish to extract from and results in a product that’s very similar to the more time-consuming, expensive and, solvent-based butane extraction. 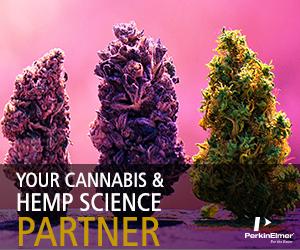 Analytical testing has demonstrated that this simple approach effectively extracts cannabinoids and terpenes with absolutely no risk of leaving behind toxic residual solvents like butane. The simplicity of this approach is without a doubt its biggest draw. Enthusiasts are able to produce highly potent rosin extracts with a hair straightener, some baking parchment, a collection tool and, some heatproof gloves. 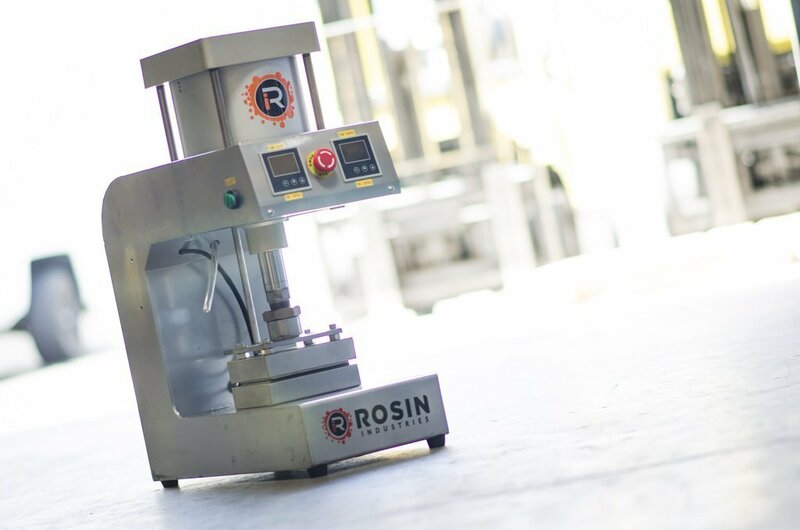 Commercial rosin presses are also available to process material on a much larger scale but the concept is essentially the same. A flat heat press mechanism is used to squeeze the material but at a specific heat and pressure and the extract is scraped off. A Rosin Industries pneumatic heat press cannabis extraction unit. Credit: Rosin Industries.